Revise smart and save! Designed for hassle-free classroom and independent study, our Revision Guides are designed to complement the Student Books with a range of specially designed features such as: One-topic-per-page format Worked examples with exemplar answers 'Now Try This' practice questions Knowledge checks and skills checks Includes FREE online edition! 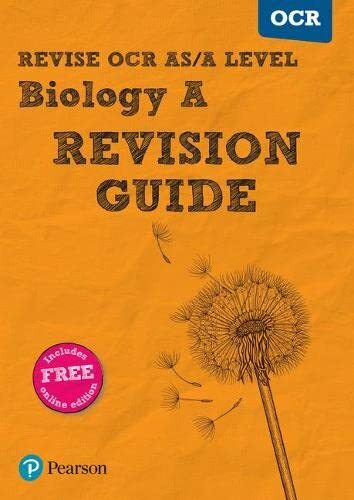 With a one-to-one page correspondence between this Revision Guide and the companion OCR AS/A level Biology Revision Workbook, the hugely popular REVISE series offers the best value available for A level students.